Ophelia; Christ in the House of His Parents. 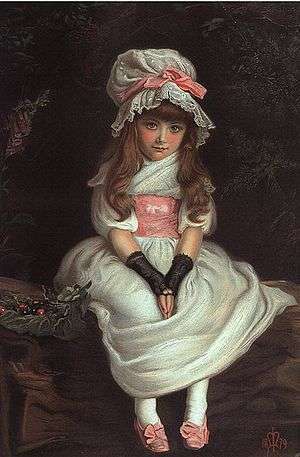 A child prodigy, at the age of eleven Millais became the youngest student to enter the Royal Academy Schools. The Pre-Raphaelite Brotherhood was founded at his family home in London, at 83 Gower Street (now number 7). 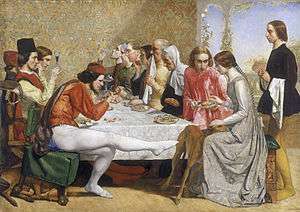 Millais became the most famous exponent of the style, his painting Christ in the House of His Parents (1850) generating considerable controversy. By the mid-1850s Millais was moving away from the Pre-Raphaelite style and developing a new and powerful form of realism in his art. His later works were enormously successful, making Millais one of the wealthiest artists of his day. While early 20th-century critics, reading art through the lens of Modernism, viewed much of his later production as wanting, this perspective has changed in recent decades, as his later works have come to be seen in the context of wider changes and advanced tendencies in the broader late nineteenth-century art world. This style was promoted by the critic John Ruskin, who had defended the Pre-Raphaelites against their critics. Millais's friendship with Ruskin introduced him to Ruskin's wife Effie. Soon after they met she modelled for his painting The Order of Release. 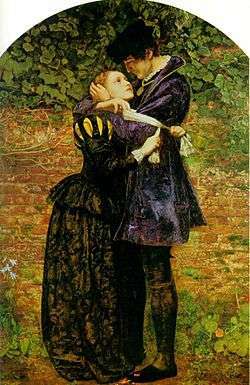 As Millais painted Effie they fell in love. Despite having been married to Ruskin for several years, Effie was still a virgin. Her parents realised something was wrong and she filed for an annulment. 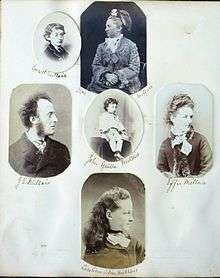 Photo assemblage of Millais' family circa 1870 (compiled by Emily Fane de Salis). 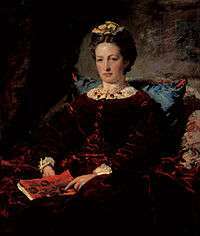 In 1855, after her marriage to Ruskin was annulled, Effie and John Millais married. He and Effie eventually had eight children: Everett, born in 1856; George, born in 1857; Effie, born in 1858; Mary, born in 1860; Alice, born in 1862; Geoffroy, born in 1863; John in 1865; and Sophie in 1868. 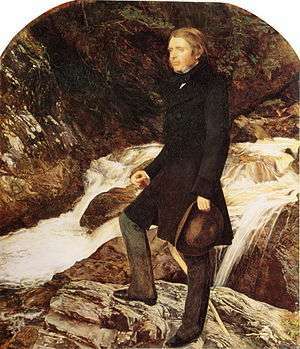 Their youngest son, John Guille Millais, became a notable naturalist, wildlife artist, and Millais's posthumous biographer. 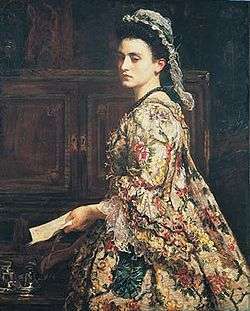 Effie's younger sister Sophy Gray sat for several pictures by Millais, prompting some speculation about the nature of their apparently fond relationship. After his marriage, Millais began to paint in a broader style, which was condemned by Ruskin as "a catastrophe." 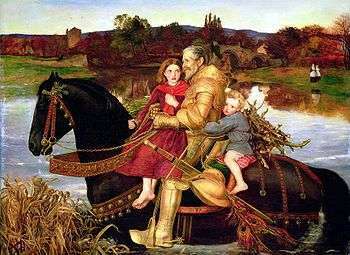 It has been argued that this change of style resulted from Millais's need to increase his output to support his growing family. Unsympathetic critics such as William Morris accused him of "selling out" to achieve popularity and wealth. 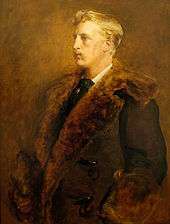 His admirers, in contrast, pointed to the artist's connections with Whistler and Albert Moore, and influence on John Singer Sargent. Millais himself argued that as he grew more confident as an artist, he could paint with greater boldness. In his article "Thoughts on our art of Today" (1888) he recommended Velázquez and Rembrandt as models for artists to follow. 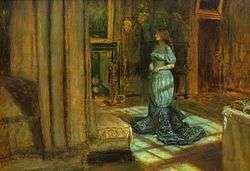 Paintings such as The Eve of St. Agnes and The Somnambulist clearly show an ongoing dialogue between the artist and Whistler, whose work Millais strongly supported. Other paintings of the late 1850s and 1860s can be interpreted as anticipating aspects of the Aesthetic Movement. Many deploy broad blocks of harmoniously arranged colour and are symbolic rather than narratival. 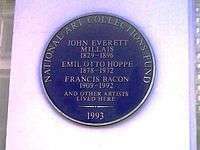 From 1862, the Millais family lived at 7 Cromwell Place, Kensington, London. Later works, from the 1870s onwards demonstrate Millais's reverence for Old Masters such as Joshua Reynolds and Velázquez. 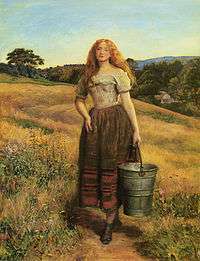 Many of these paintings were of an historical theme and were further examples of Millais's talent. 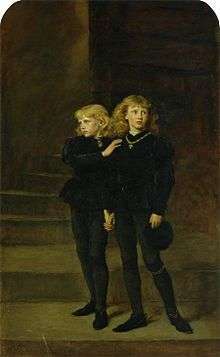 Notable among these are The Two Princes Edward and Richard in the Tower (1878) depicting the Princes in the Tower, The Northwest Passage (1874) and the Boyhood of Raleigh (1871). 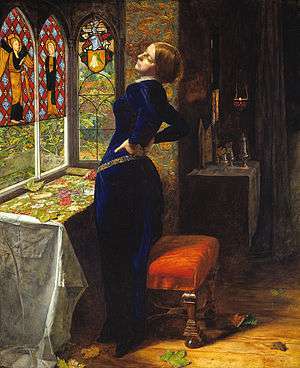 Such paintings indicate Millais's interest in subjects connected to Britain's history and expanding empire. 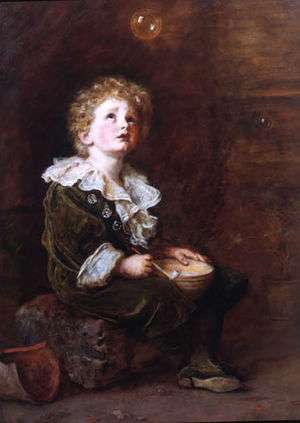 Millais also achieved great popularity with his paintings of children, notably Bubbles (1886) – famous, or perhaps notorious, for being used in the advertising of Pears soap – and Cherry Ripe. His last project (1896) was to be a painting entitled The Last Trek. 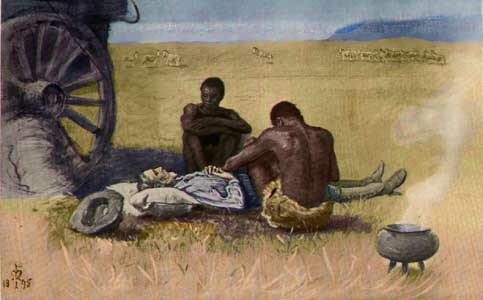 Based on his illustration for his son's book, it depicted a white hunter lying dead in the African veldt, his body contemplated by two Africans. 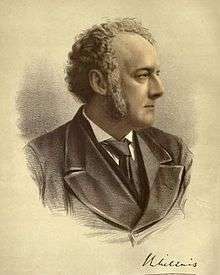 Millais later in his career. This fascination with wild and bleak locations is also evident in his many landscape paintings of this period, which usually depict difficult or dangerous terrain. The first of these, Chill October (1870) was painted in Perth, near his wife's family home. 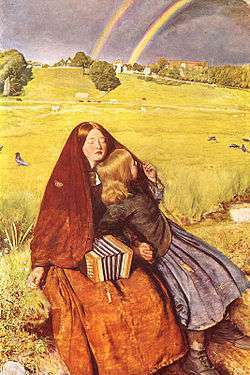 Chill October (Collection of Sir Andrew Lloyd Webber), was the first of the large-scale Scottish Landscapes Millais painted periodically throughout his later career. Usually autumnal and often bleakly unpicturesque, they evoke a mood of melancholy and sense of transience that recalls his cycle-of-nature paintings of the later 1850s, especially Autumn Leaves (Manchester Art Gallery) and The Vale of Rest (Tate Britain), though with little or no direct symbolism or human activity to point to their meaning. 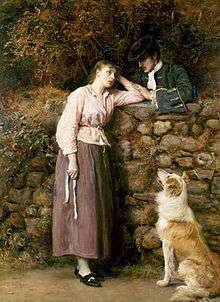 In 1870 Millais returned to full landscape pictures, and over the next twenty years painted a number of scenes of Perthshire where he was annually found hunting and fishing from August until late into the autumn each year. Most of these landscapes are autumnal or early winter in season and show bleak, dank, water fringed bog or moor, loch and riverside. Millais never returned to "blade by blade" landscape painting, nor to the vibrant greens of his own outdoor work in the early fifties, although the assured handling of his broader freer, later style is equally accomplished in its close observation of scenery. 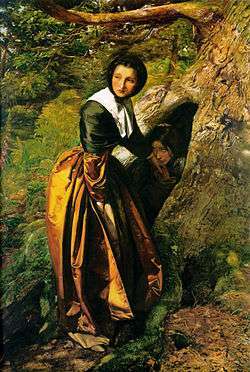 Many were painted elsewhere in Perthshire, near Dunkeld and Birnam, where Millais rented grand houses each autumn to hunt and fish. Christmas Eve, his first full landscape snow scene, painted in 1887, was a view looking towards Murthly Castle. 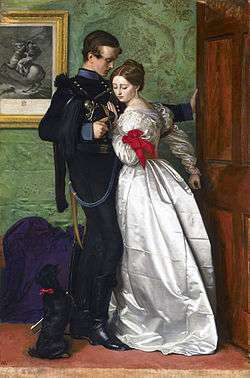 Millais was also very successful as a book illustrator, notably for the works of Anthony Trollope and the poems of Tennyson. His complex illustrations of the parables of Jesus were published in 1864. His father-in-law commissioned stained-glass windows based on them for Kinnoull parish church, Perth. He also provided illustrations for magazines such as Good Words. 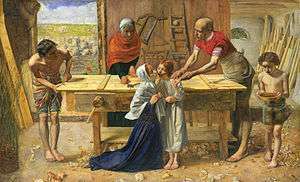 As a young man Millais frequently went on sketching expeditions to Keston and Hayes. While there he painted a sign for an inn where he used to stay, near to Hayes church (cited in Chums annual, 1896, page 213). Millais was elected as an associate member of the Royal Academy of Arts in 1853, and was soon elected as a full member of the Academy, in which he was a prominent and active participant. In July 1885, Queen Victoria created him a Baronet, of Palace Gate, in the parish of St Mary Abbot, Kensington, in the county of Middlesex, and of Saint Ouen, in the Island of Jersey, making him the first artist to be honoured with a Hereditary Title. 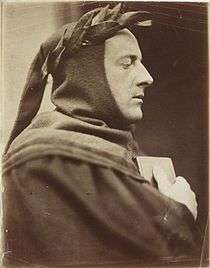 After the death of Lord Leighton in 1896, Millais was elected President of the Royal Academy, but he died later in the same year from throat cancer. He was buried in the crypt of St Paul's Cathedral. 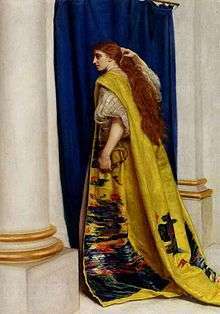 Additionally, between 1881-1882, Millais was elected and acted as the president of the Royal Birmingham Society of Artists. 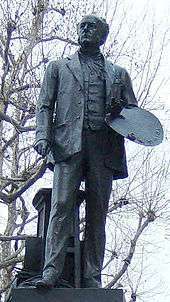 When Millais died in 1896, the Prince of Wales (later to become King Edward VII) chaired a memorial committee, which commissioned a statue of the artist. This was installed at the front of the National Gallery of British Art (now Tate Britain) in the garden on the east side in 1905. On 23 November that year, the Pall Mall Gazette called it "a breezy statue, representing the man in the characteristic attitude in which we all knew him". In 1953, Tate Director, Sir Norman Reid, attempted to have it replaced by Auguste Rodin's John the Baptist, and in 1962 again proposed its removal, calling its presence "positively harmful." His efforts were frustrated by the statue's owner, the Ministry of Works. Ownership was transferred from the Ministry to English Heritage in 1996, and by them in turn to the Tate. In 2000, under Stephen Deuchar's directorship, the statue was removed to the side of the building to welcome visitors to the refurbished Manton Road entrance. 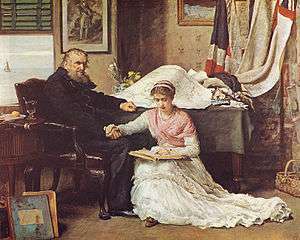 Millais's relationship with Ruskin and Effie has been the subject of several dramas, beginning with the silent film The Love of John Ruskin from 1912. There have also been stage and radio plays and an opera. The 2014 film, Effie Gray, written by Emma Thompson, features Tom Sturridge as Millais. The PRB as a whole have been the subjects of two BBC period dramas. The first, entitled The Love School, was shown in 1975, starring Peter Egan as Millais. The second was Desperate Romantics, in which Millais is played by Samuel Barnett. It was first broadcast on BBC 2 Tuesday, 21 July 2009. 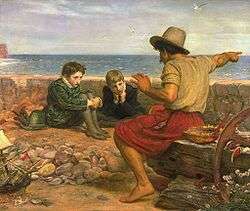 In 2004, the artists Hamilton and Ashrowan produced a work referencing Millais's landscape painting The Sound of Many Waters (1876). The work was filmed at Rumbling Bridge on the River Braan in Perthshire, the site where Millais made the painting. It consisted of a 32 screen moving image installation at Perth Concert Hall, including a film of the Millais painting. ↑ "Millais, John Everett". Dictionary of National Biography (1st supplement). London: Smith, Elder & Co. 1901. ↑ Later Alice Stuart-Wortley, she was a friend of the composer Edward Elgar, called by him "Windflower"
↑ "''John Everett Millais 1829–1896,'' Tate Gallery, London". Tate.org.uk. Retrieved 2014-01-29. ↑ The London Gazette: no. 25490. p. 3239. 14 July 1885. ↑ The Year's Art. 1904. 1 2 3 4 Birchall, Heather. "Sir Thomas Brock 1847–1922", Tate online, February 2002. Retrieved 5 April 2008. ↑ "BBC Drama Production presents Desperate Romantics for BBC Two" (Press release). BBC. 2008-08-07. Retrieved 23 October 2010. ↑ "Pizarro Seizing the Inca of Peru". Anonymous (1873). Cartoon portraits and biographical sketches of men of the day. Illustrated by Waddy, Frederick. London: Tinsley Brothers. pp. 8–9. Retrieved 28 December 2010. Baldry, A. L. Sir John Everett Millais (London, G. Bell & Sons, 1908). Barlow, Paul Time Present and Time Past: The Art of John Everett Millais, Ashgate 2005. Bennett, Mary. Footnotes to the Millais Exhibition (Walker Art Gallery (Liverpool Bulletin, No 12 1967). Bennett, Mary (catalogue) (Walker Art Gallery and Royal Academy catalogue 1967). Campbell-Johnston, R (25 September 2007). "Master of Victorian values". Visual Arts. London: The Times. Retrieved 24 September 2007. Daly, G (1989). Pre-Raphaelites in love. New York: Ticknor & Fields. ISBN 0-89919-450-8. OCLC: 18463706. Eggeling, Dr Joe. Millais and Dunkeld The story of Millais's Landscapes (1985). Lutyens (ed). Millais and the Ruskins 1967. Lutyens, M. Letters from John Everett Millais, Bart P.R.A. and William Holman Hunt. O.M. (The Walpole Society, 1972-4). Mancoff, D. N. (ed). John Everett Millais beyond the Pre Raphaelite Brotherhood (London and New Haven, 2001). Millais, John Guille. 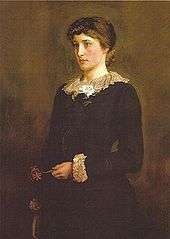 The Life and Letters of John Everett Millais. Volume 1, Volume 2 (London: Methuen, 1899). National Portrait Gallery catalogue, 1999. Rosenfeld, Jason and Alison Smith (Tate Britain catalogue, 2007). Rosenfeld, Jason. John Everett Millais. Phaidon Press Ltd., 2012. Reynolds, Matthew (24 October 2007). "Millais's high drama and low designs". London: The Times. Spielmann, Marion. Notes on Millais Exhibition R.A. 1898. Warner, Malcolm. The Drawings of John Everett Millais (Arts Council catalogue, 1979). Williamson, Audrey (1976). Artists and Writers in Revolt – The Pre-Raphaelites. 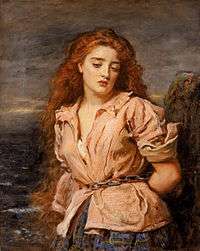 Wikimedia Commons has media related to John Everett Millais. Jason Rosenfeld reveals the story behind Millais's Isabella for Tate Films, 2012. John Everett Millais in the "History of Art"
↑ "Millais's Mariana". Smarthistory at Khan Academy. Retrieved 28 March 2013. 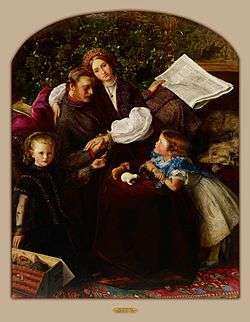 ↑ "Sir John Everett Millais's Christ in the House of His Parents". Smarthistory at Khan Academy. Retrieved 28 March 2013. 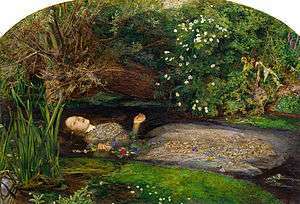 ↑ "Sir John Everett Millais's Ophelia". Smarthistory at Khan Academy. Retrieved 28 March 2013. 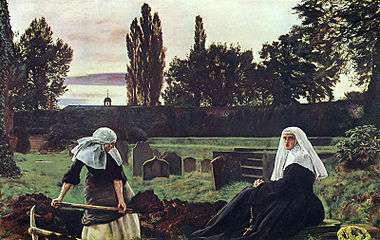 ↑ "Millais' The Vale of Rest". Smarthistory at Khan Academy. Retrieved 28 March 2013.